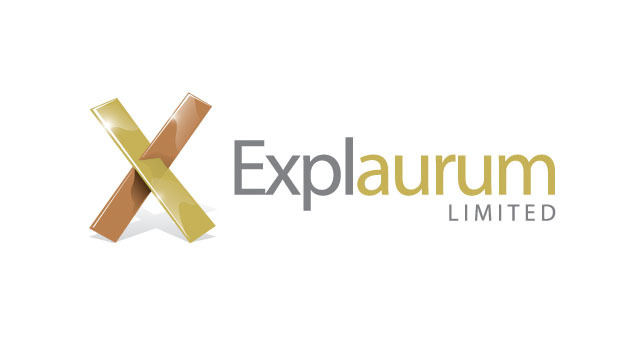 Mintrex would like to congratulate their client, Explaurum Ltd (EXU) on the completion of their Feasibility Study (FS) and ASX release of their FS report for the development of the Tampia Gold Project. The Project is located in the wheatbelt of Western Australia, 240 km east of Perth near the township of Narembeen. Mintrex was responsible for the design, CAPEX and OPEX of the plant and associated infrastructure, and early stage power options of the project. The project’s ore reserves have been estimated as part of this study to a Probable Ore Reserve of 7.23 Mt at 2.09 g/t Au for 485,000 ounces of gold. The Project comprises a single open pit, within close proximity to the proposed plant site. The proposed process plant is based on a conventional SAG milling, gravity and flotation, ultra-fine grinding (UFG) and carbon in leach (CIL) processing circuit with a nominal throughput capacity of 1.5Mtpa. The project has an initial mine life of 5.3 years. The optimised operating costs for the project highlight a conventional, low cost and high margin operation with LOM All In Sustaining Costs (AISC) of A$998/oz gold, and AISC of A$883/oz for the first two years. This is a result of the shallow nature of the deposit, average LOM metallurgical recovery of 92%, low reagent consumption and a high component of gravity recoverable gold. Mintrex has estimated the initial capital cost to be A$119 million (±15%). The crushing circuit has been designed with a throughput rate of 420tph on a 70% availability, 24 hour per day basis. The milling circuit is designed for a nominal throughput of 188 tph fresh ore and will operate at 91.3% availability and achieve a design grind size of 80% passing (P80) 125µm with pebble crushing of scats. A portion of the cyclone underflow will be treated by gravity concentration and intensive leaching of the gravity concentrate. A two-stage flotation circuit will be used to produce a float concentrate that is pumped into a high- rate flotation concentrate thickener, whilst the flotation tails will be discharged and pumped into the high-rate pre leach thickener. The flotation concentrate and ultra-fine grind (UFG) circuit will recover gold to a low mass sulphide concentrate for ultra-fine grinding and intensive cyanide leaching. The CIL circuit consists of a pre-leach tank for flotation of theconcentrate, a leach tank for flotation tails and six CIL tanks treating the cyclone overflow. The metal recovery and refining will consist of an elution circuit, electrowinning cells and smelting. The tailings storage facility (TSF) for tailings deposition will be a paddock style facility located approximately 500m south of the process plant. Raw and process water will be sourced from nearby borefields. 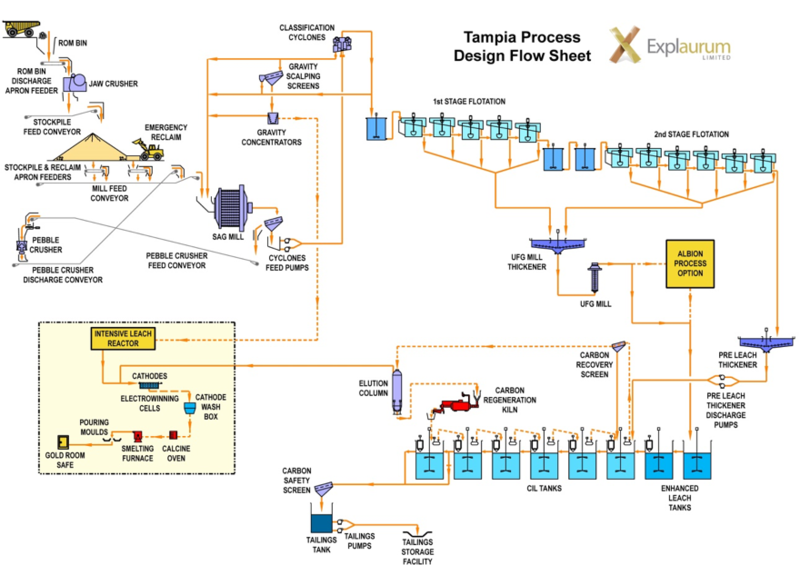 The process plant layout (Figure 1) illustrates the sequential nature of the processing operations, with ROM ore received at the front end of the facility, gold doré bars produced in the gold room and tailings disposal in the TSF.